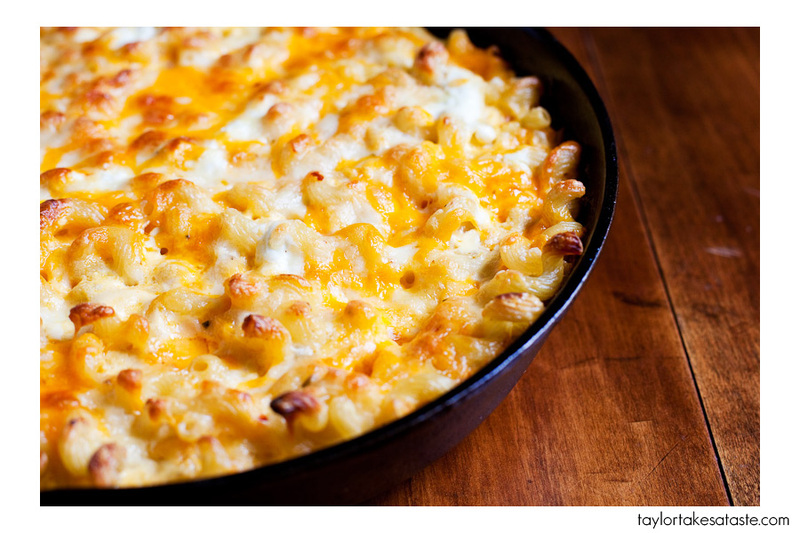 After eating this macaroni and cheese you will never go back to the stuff in the blue box. It is great when you are a kid, but when you are an adult ? Really? It is time to step up the sophistication. This is a recipe that my mom adapted from one of the greatest southern cooks ever, Edna Lewis. Step 1: Boil the pasta in salted water until tender. Remove and drain. Place the drained pasta into the baking dish of your choice. My mom used a cast iron pan, but you can use a 9x13x2 baking dish or whatever else you like. Mix in the cubed cheddar cheese. Step 3: Take the flour, 1 1/2 teaspoon salt, and spices in a large mixing bowl. Stir them together so that everything is evenly mixed together. Step 4: Add the sour cream, and eggs. With a wire whisk mix all ingredients together until mixture is evenly incorporated. Step 5: To the mixture, Whisk in the onion, half and half, heavy cream, and Worcestershire until it is thoroughly blended together. Step 6: Pour this mixture over the pasta and cheese and then stir everything together. Sprinkle the shredded cheddar cheese on top and then place into the oven. Step 7: Put in the oven for 30-35 minutes and then let cool for 10 minutes. The cooling is necessary to allow the mac and cheese to set up. To double the recipe, use 1 pound of pasta and double all the ingredients in the recipe EXCEPT the cayenne and the black pepper. I would worry that double the heat would make the mac to aggressive against all the other Thanksgiving flavors on your menu. You may also consider adding scallions and cooked apple wood bacon just to have fun with the recipe. dry mustard, paprika, cayenne and nutmeg are all secret weapons in my mac & cheese, too. the only way to go. lookin’ delicious! Thanks for catching that Lin, got to love spelling autocorrect that changes words without you realizing it. I am not sure how it would taste using flowers ha ha. Thanks for the comment! That looks great. I only eat made from scratch mac n’ cheese. The blue box was never my cup of tea. I also tried the lemoncello myself. It was delicious. Oh man that last shot is amazing. 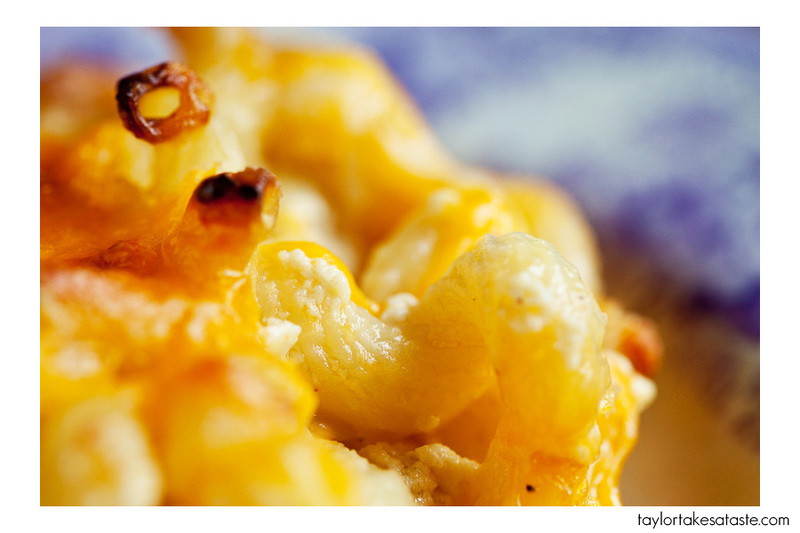 I want to reach in and grab that slightly-toasty, cheesy noodle. I’m going to try out this recipe ASAP. That looks SO unbelievably delicious. 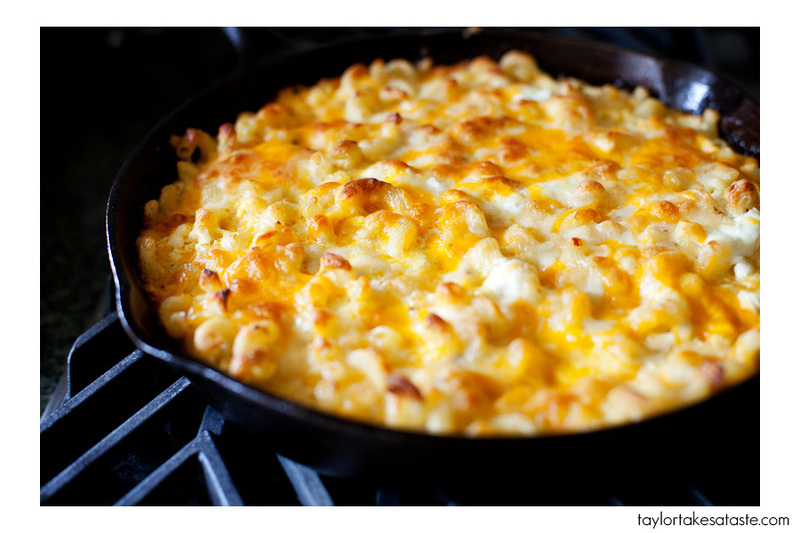 Mac and cheese is the way to my heart and these photos are making me drool!!! I made this, and it was by far the best mac n cheese I’ve ever made or tasted! I The only thing I didn’t use was onions, but still GREAT! I just made this this evening for my husband’s birthday. The entire family loved it. I think the onions and the cayenne pepper really set it apart from the normally bland homemade mac and cheese. My mother-in-law makes the best mac n cheese but will not share the recipe. Last Thanksgiving when I was helping her with the prep work, I thought this is it she will share the recipe. I woke up the next morning, mac n cheese was already cooked and cooling on the counter!!!! She is so sneaky lol!Thank you for this recipe!!!! I increased the amount of pasta to one pound and it turned out great! Thanks for the recipe, it is a keeper! I made it for Thanksgiving meal. 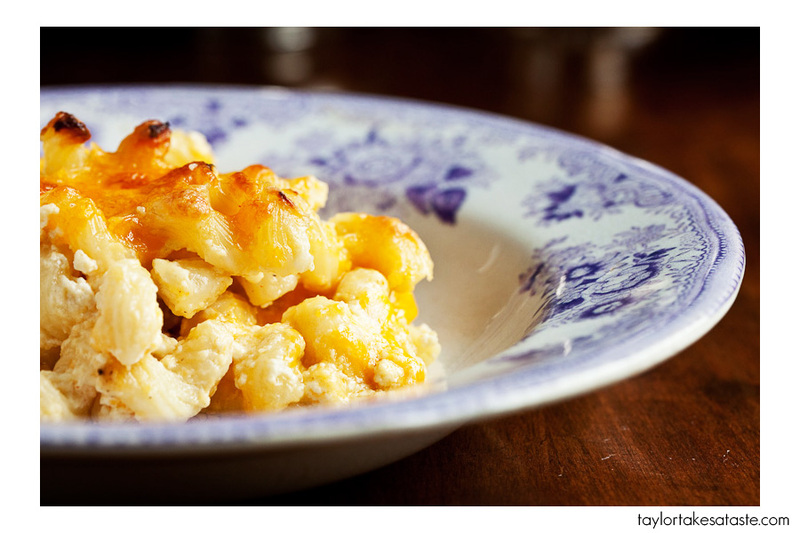 Lovely, lovely Mac & cheese recipe! We served it as a side for our Christmas dinner. The spice was a nice change but next time I think I’ll cut back the cayenne to just a pinch. The teens & adults loved it but the younger ones found it too spicy. This recipe has earned regular rotation status! I followed this recipe, but didnt have an onion and added like half the amount of cayenne & salt and a little more cheese. By far the best mac n cheese ive ever had. No more blue box for me!!! Yum! I think i wil hav sum for breakfast!! I am making tonight for a bday dinner…so excited! A little confused on the 1 3/4 cups of noodles…really does not seems like enough?? Am I wrong here? That wont even fill a 1/4 of my baking dish. This was 99% perfection! Makes a large portion. I used the 1 lb bag of pasta and kept all ingredients the same. A little touch of salt after to taste. Amazing! Made this last night and it was a BIG hit. Making it again today. I doubled the pasta but all other I left the same. Thank you!